Load up your six-shooter and get ready to go back to the wild west with the HD Remaster of the SNES cult-classic: Wild Guns. 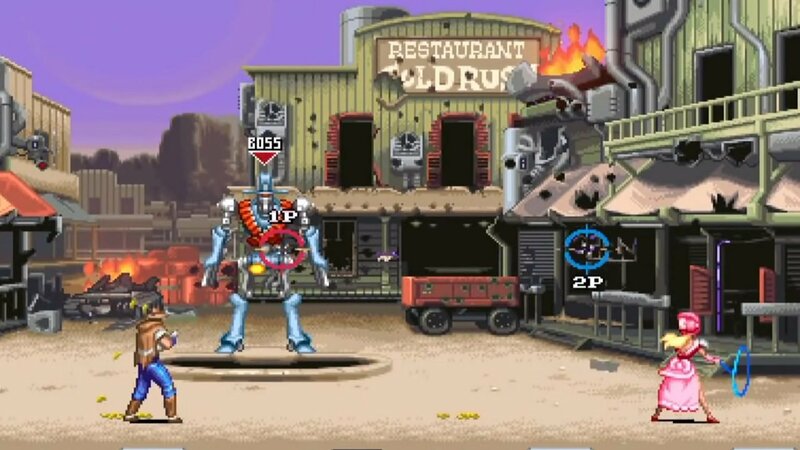 Announced by Natsume at E3, Wild Guns: Reloaded sets players in the role of Clint or Annie as they gun their way through six action packed levels of arcade goodness. After the notorious Kid family abducts and kills Annie’s family, she seeks help from renowned space bounty hunter Clint to extract her revenge. Players use a combination of guns, powerups, melee attacks and a lasso that can be used to stun enemies. Unlike traditional arcade shooters, players actively control either Annie or Clint moving and dodging to avoid enemy fire. Wild Guns flew under the radar when it was released in 1995, despite receiving critical acclaim for its fun mixture of arcade-shooter mechanics with simple 2D movement, exciting steampunk setting, and intense challenge. Wild Guns released for both the Wii and Wii U eShop, however Reloaded will include new features such as the inclusion of four players, added levels and characters. Details are relatively sparse, however Wild Guns: Reloaded is set to release Fall 2016.